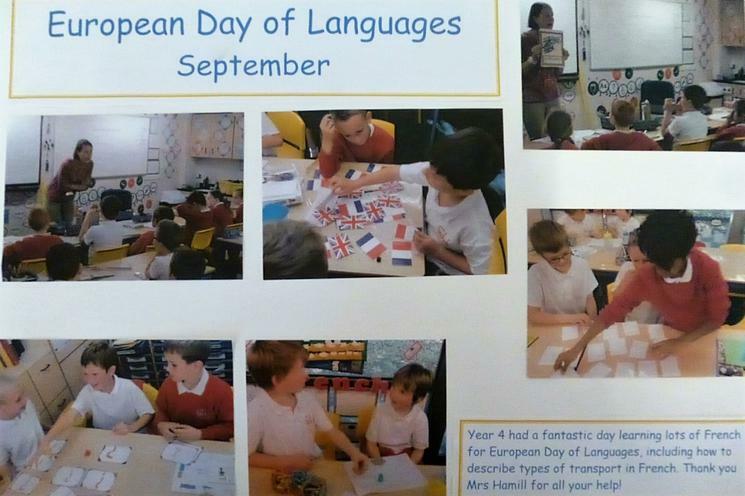 This term we will be learning all about the UK. We'll be exploring our own city of Durham before taking a tour around the UK, researching rivers, mountains, cities and different traditions! 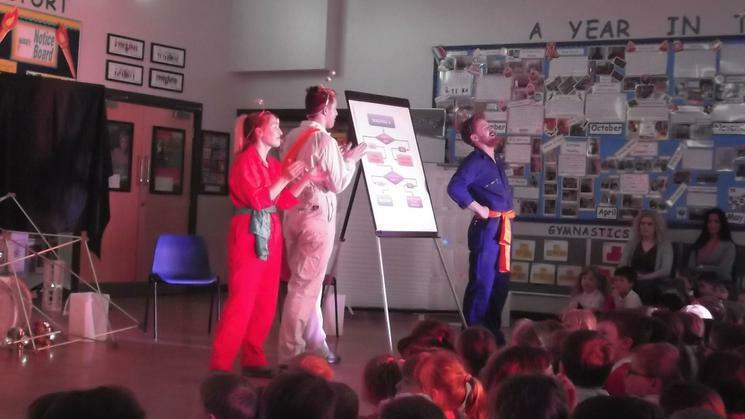 Year 4 have been enjoying our Young Enterprise sessions, led by Mr Davies who is a building contractor. After explaining to the children what his job involves and how it links in with learning about cities, we got going with designing our own city. The children made their own decisions about where different buildings should go in the city and even built their own models! Next week they will be taking on the role of newspaper editors, graphic designers and reporters to create their own newspaper about their city. Year 4 enjoyed a visit from Paddy, who came from Durham University, to help them learn all about the Anglo-Saxons. The children handled replica artefacts, including swords, helmets, money and everyday objects like combs and spoons. Paddy shared lots of information about the weapons and lots of gruesome facts that the children found fascinating! They learned how to draw Celtic knots and ended the day by examining a copy of the Lindisfarne Gospels and dressing up as monks! 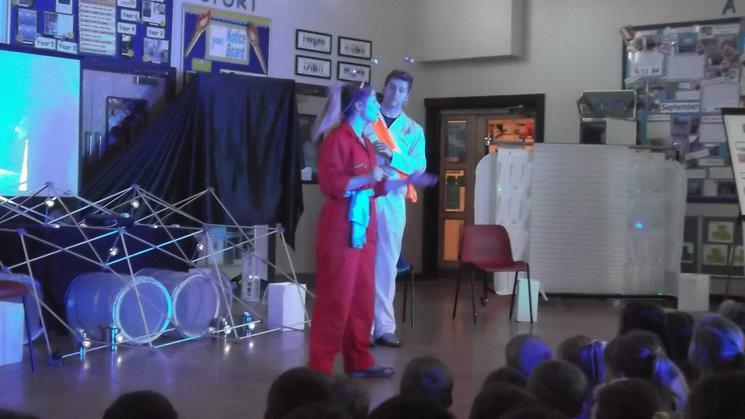 All of the children and staff were invited aboard a spaceship in the school hall! 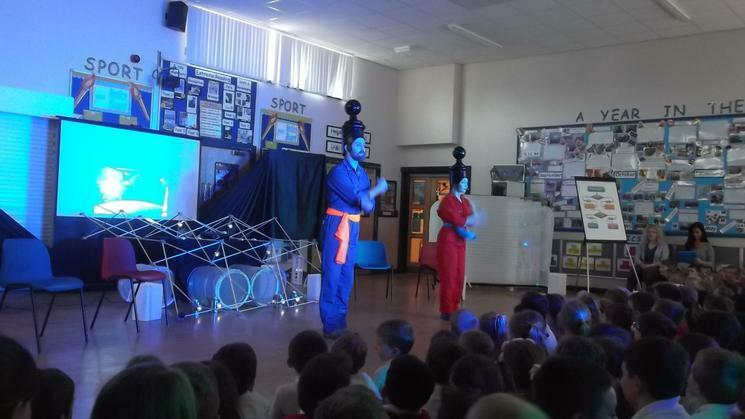 As we left planet Earth and zoomed into space, we learnt about evolution, the human body and lots of famous scientists along the way! Year 2 and Year 3 have been busy investigating crimes using forensic techniques at our Science after school club. They have learnt how to take fingerprints, read and write encrypted messages, use paper chromatography to test ink and they even had a go at making a cast of their own thumb! What a great way to start our topic with an Ancient Rome Day complete with costumes, amazing artefacts, art activities and fascinating facts from Mr Roxborough from Durham University! 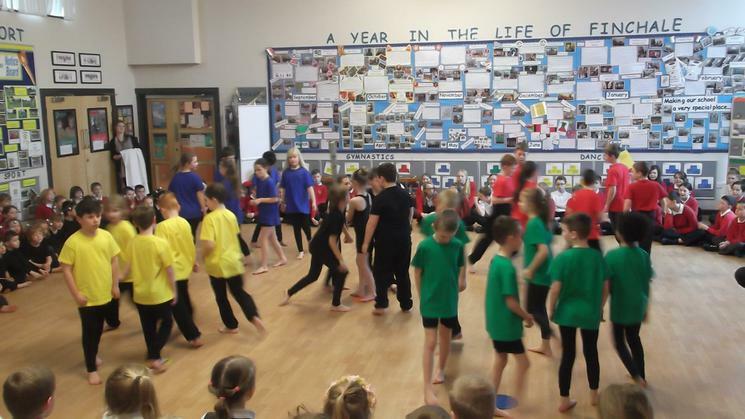 I am so proud of all of the Year 4 children for their fantastic dance performance at the Gala. 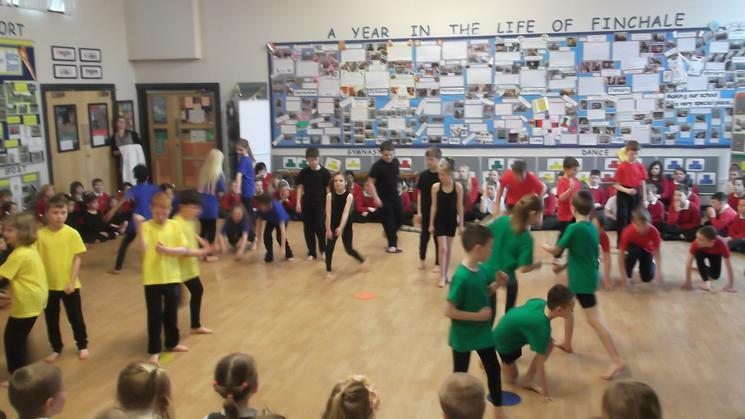 Our dance was all about the Olympics and the children worked together to create sequences of movements representing the lighting of the Olympic torch, the five Olympic rings and different Olympic sports. 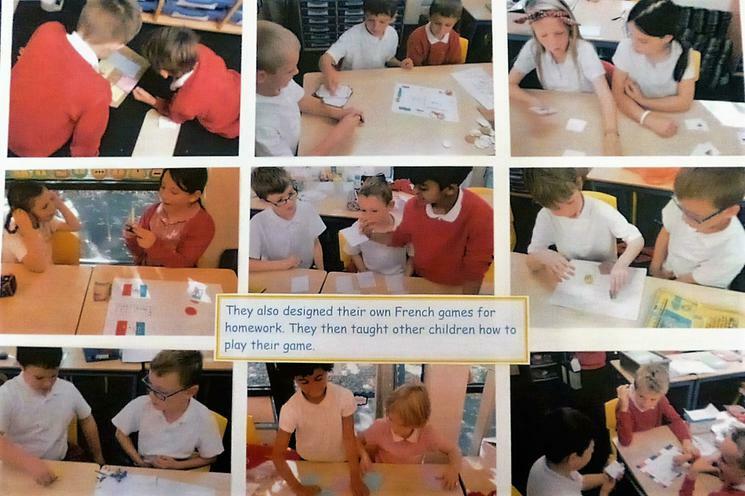 They worked in pairs and as a whole group and came up with some excellent ideas. Well done everyone! 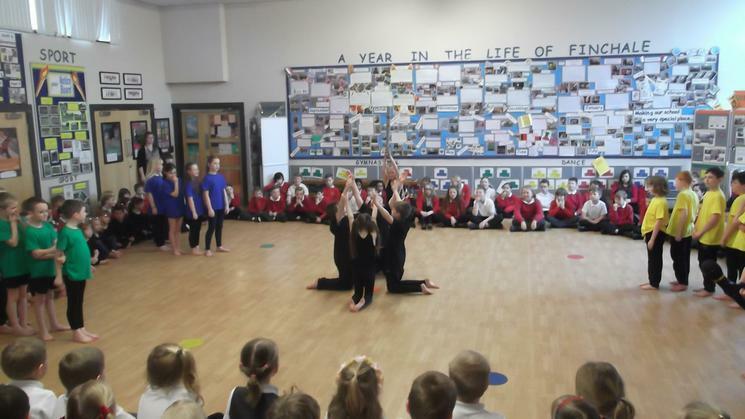 We enjoyed showing our dance to the whole school as well as to all the people who watched our performance in the theatre! Here we are learning about the different types of quadrilaterals and working with partners to construct our own examples. 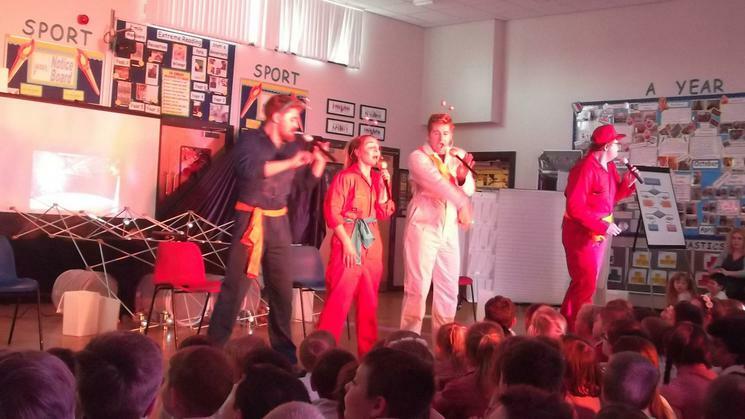 Well done to the School Council for organising such a super event! The Greeks believed that architecture was all about Maths. Year 4 tested this theory using their knowledge of reflective symmetry and measuring skills to create their own 2-D models of Greek buildings. 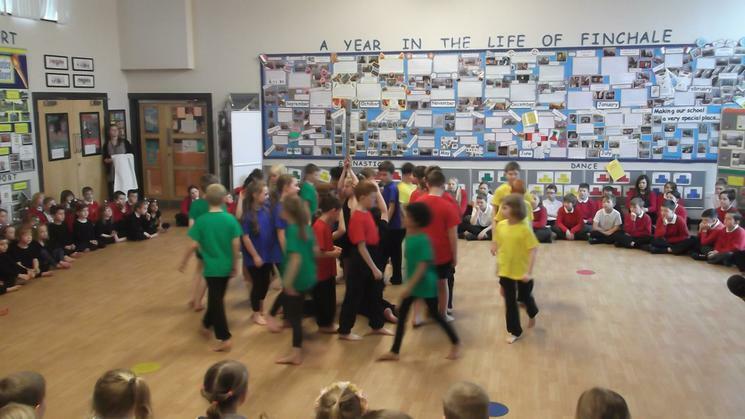 Well done Year 4, they look fantastic! Year 4 learnt all about Greek pottery. They then designed their own Greek style pots. They used black and orange card to represent the black clay mixture and the red-brown unpainted areas on Greek pots. 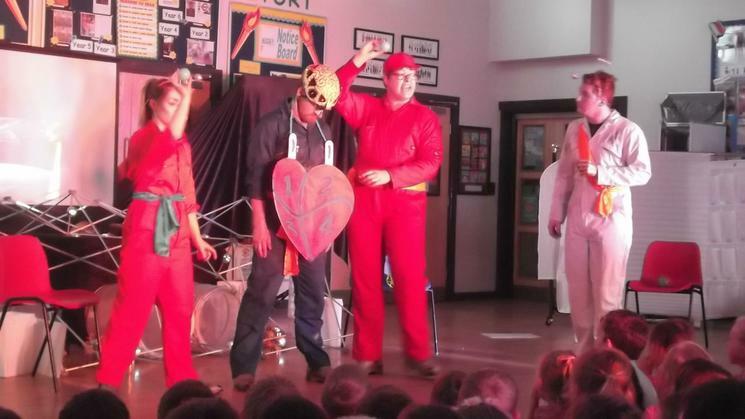 We have been learning all about the wonderful, mysterious world of Greek myths. From Pandora's Box to Daedalus and Icarus, we have been exploring monsters, gods and spooky places. Here we are playing an oral story game to help us come up with our own ideas for our own myths. Mrs Patrick can't wait to read them! 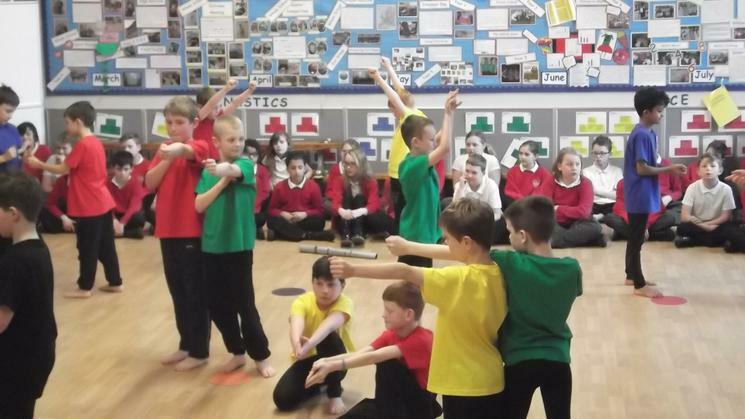 Year 4 spent the day immersed in the world of Ancient Greece. 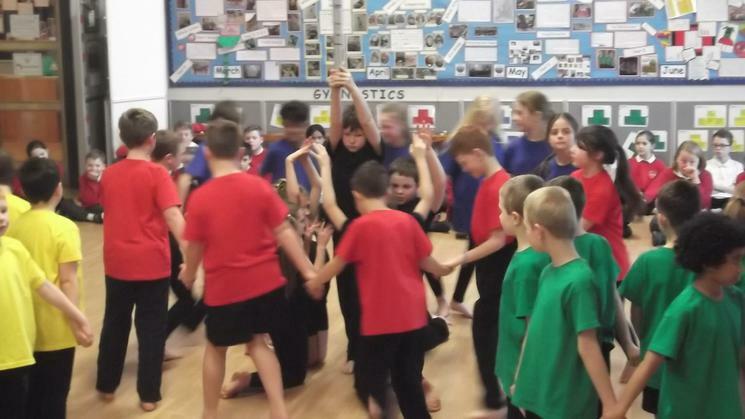 In a series of workshops led by Ross Wilkinson from Durham University, the children examined historical artefacts, acted out a Greek play, learnt how to write in Ancient Greek and made their own Greek pot. A special thank you goes to the children and parents for making such brilliant costumes which helped to make the day so memorable. We all had a fantastic time watching Peter Pan. We sang along enthusiastically and joined in loudly with all the booing and hissing! Year 4 learnt how to make and recognise nets of different shapes. We then had fun turning them into monsters!